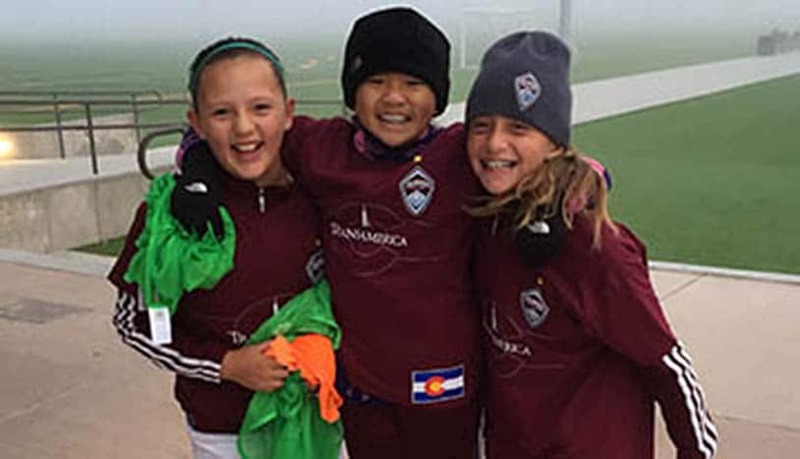 CRYSC 11U-15U programming continues to build upon the technical foundation started in the 3U-10U programs and builds on the Colorado Rapids curriculum. Program offerings provide recreational options for all ages 11U through 15U. Training and games are held at convenient, centralized, community locations in the Denver and Aurora metro areas. Game format is played in a 9v9 format from 11U through 19U. Team sizes of 12-14 players ensures plenty of game time to apply the skills and techniques that are presented in the twice weekly curriculum based training. When coaching soccer, this can be used in a variety of ways to break down a technique, skill, or tactic. Most commonly the players are taken from a practice with high game context to a low one, before returning back to the original practice. When possible it is best to practice the game, or elements of the game, in their entirety. An example of this could occur in a topic such as ‘Defending in the Direct Game Channel’. What do you do if the individuals or units in your squad don’t understand how to defend 1v1 or 2v2? You break it down. ‘Whole’ doesn’t necessarily mean a game. Actually in this theory, a ‘whole’ practice could be a series of complex skills that can be broken down into more discrete skills. The ‘whole’ element should be as realistic to the game as possible, then the coach looks to pull actions or components of the game and break them down into chunks so the players can understand and digest the information. The coach will then pull those elements back together into the game situation. What is The Rapids Way? The Rapids Way embodies everything we are and stand for as a soccer club. The Rapids Way is much more than just what we do and how we do it. It encompasses who we are as a Club, from how we handle our administrative details to how coaches instruct players in training to how our players and families conduct themselves on and off the field. The Club’s mission and vision shape a philosophy, methodology, and culture that provide a framework for us to work in these key areas. The Rapids Way is defined by the experience each individual player has from the time they enter the Club to the time they graduate. From a technical perspective, we focus on establishing an individual foundation prior to teaching group actions and tactics. Using the Whole-Part-Whole teaching model we are able to build a Long-Term Development Plan that drives each player’s experiences in the four key pillars of the game: technical, tactical, physical and psycho-social. These individual pieces come together in the form of a distinct style of play that develops in our teams that is consistent from our most inexperienced levels to our elite levels in the Club. 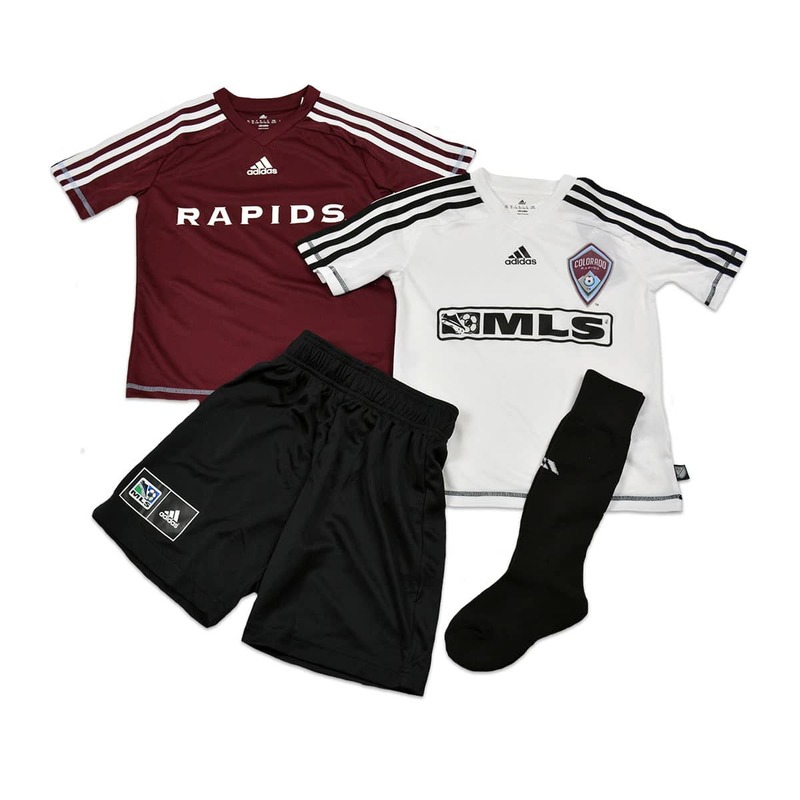 The Colorado Rapids Youth Soccer Club partners with Soccer Stop to provide quality uniforms and fan gear. All 5U-8U Recreational players are required to purchase the uniform kit before the first game. Players are required to wear the official CRYSC jersey combo for games. This uniform kit is usable through all Recreational leagues. Uniforms are NOT included in registration costs. You can purchase your uniform at any participating Soccer Stop location. Every team is required to provide a volunteer coach to coach the team throughout the season. The volunteer coach is almost always a parent of a player on the team. The coach will be provided with a curriculum from our staff for every session, and will be provided with other training opportunities throughout the season. Our staff will help support every coach throughout the season, so even if coaches have never played soccer before, we can help you have a successful season. We recommend that each team has a coach and an assistant coach at this age to help players stay engaged throughout every session. Lead every practice session of find a substitute if they cannot be present. Coach every game of find a substitute if they cannot be at the game. Find a practice location and time that works for them and their team. Communicate clearly with the team throughout the season. 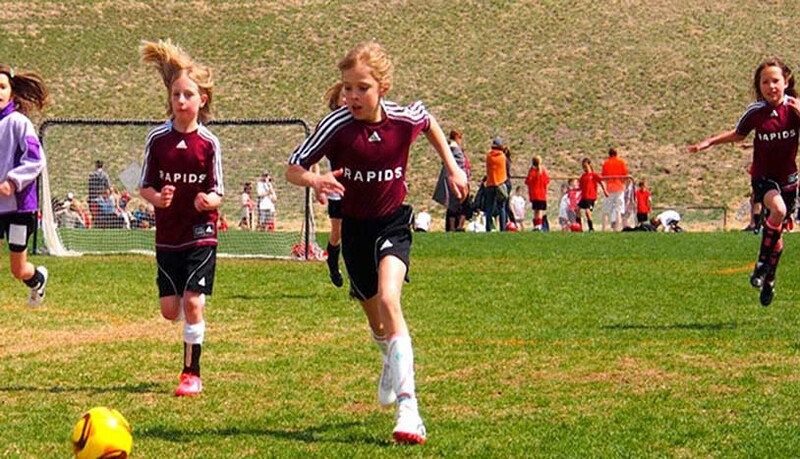 Rapids Youth provides coaching sessions for all coaches throughout the season. A website with additional coaches resources available to all coaches. One-on-one support to talk through drills and game setup. Pre-season meetings and coaching educational meetings. Team managers are a very important piece to the success of any youth soccer team. In order to take some of the responsibilities off of the coach’s plate, teams are requested to have a team manager volunteer to organize the team for the season. Working with the coach to communicate with the team about sessions and games. Setting up a snack rotation for the season. Setting up pictures with the club’s photographer on picture day. Setting up an end-of-season party for the team. One-on-one support if you have any questions or concerns. Educational opportunities at meetings and in person about next steps for the team. An administrative staff to provide any support you need. 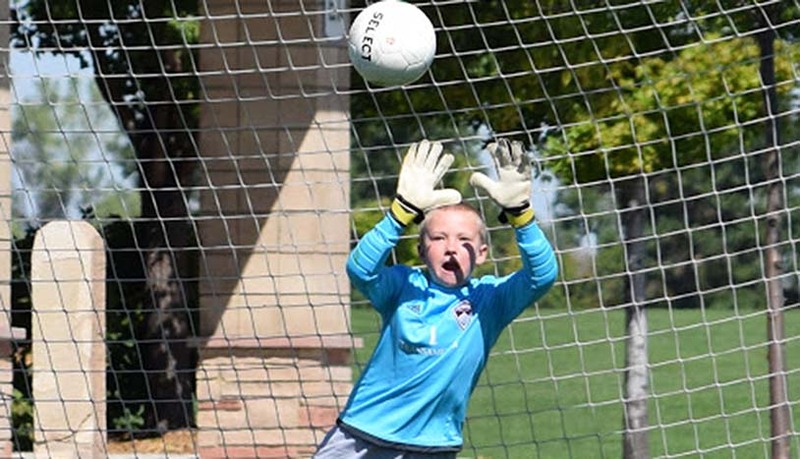 11U+ Rapids teams participate in the Front Range League with the Colorado Soccer Association. All games are held on Saturdays unless there is need for a makeup that can fall on a Sunday or during the week. Home games are based out of Gates with away games across the Front Range depending on the opposing team’s home location. All schedules are communicated to the Volunteer Parent Coaches and Team Managers who load them into the team’s Team Connect app. Please refer to your Team Connect for a calendar. Practices are held at local parks across Denver and Aurora. Parent Volunteer Coaches coordinate with the other parents on the team to find a centralized park to hold training at twice a week. The days and times are determined by the Parent Volunteer Coach based on what parks the club has permitted that season. This training schedule should be uploaded into the team’s Team Connect app when days and locations have been agreed upon. Parent-volunteer forms are collected mid-season and at the end of each season. Staff-coach forms are submitted at the end of all staff-led programs. Forms are submitted weekly to the program DOC. Kick-rounds are held four times each season on Sundays. Seasonal in-house events are used to evaluate, such as the community cup, festivals, and Soccerfest. Tryouts are held in late May, early June every year. Players participating in the 11U-19U recreational league that are interested in joining the Competitive program at Rapids Youth Soccer should reach out to the staff to indicate an interest in joining the competitive program. Rapids Youth Soccer puts a lot of focus on the ongoing evaluation process, meaning staff would like to see players throughout the entire year to gauge their development level to properly assist in placing the player into the Competitive program. Parent-Volunteers | Parent-volunteer forms are collected mid-season and at the end of each season. Staff-Coaches | Staff-coach forms are submitted at the end of all staff-led programs. Field Coordinators | Field Coordinator forms are submitted weekly to the program DOC. Kick-Arounds | Kick-rounds are held four times each season on Sundays. In-House Events | Seasonal in-house events are used to evaluate. Tryouts | Tryouts are held in late May, early June every year and are the final piece to the Player Placement process. What's the Difference between the Rec Program and the Competitive Program? There are many differences between Competitive and Rec soccer. One of the biggest factors is the level of commitment. Many Competitive players are devoted mainly to the sport of soccer and enjoy the competitiveness of the atmosphere. Additionally, Competitive teams are coached by professional coaches hired and managed by the Rapids staff. Competitive teams also train more often than recreational teams. Where Can I Purchase a Uniform? Soccer Stop Englewood can be reached at 720.283.8215 or visit them at 15055 E Hinsdale Dr, Englewood, CO 80112. Soccer Stop Highlands Ranch can be reached at 303.740.9300 or visit them at 8130 S University Blvd, Highlands Ranch, CO 80122. Can I Request a Specific Coach or Team for My Player? Yes you can. We do not guarantee that we can meet all requests, but we will do our best to accommodate them. How Long Do the Soccer Seasons Run? The Fall season is from August-November and the Spring season runs from March-May.